In this course you will learn how to program in R and how to use R for effective data analysis with a particular focus on using R for software development in a data science setting. You will learn how to leverage packages necessary for a statistical programming and understand generic programming language concepts to use in a high-level statistical language. The course covers basic R language fundamentals, key concepts, and practical issues in statistical computing which includes programming in R, reading data into R, accessing R packages, writing R functions, debugging, profiling R code, and organizing and commenting R code. Course will provide hands on working examples. This course aims to provide the basics of programming in Python with a special focus on data analysis. The participants will learn how to leverage Pandas for reading, manipulating and summarizing data, how to visualize results using Matplotlib and Seaborn. Numpy and Scipy packages will be introduced for scientific computing in Python. Inferential statistics allows to draw conclusions from data that might not be obvious. This course focuses on enhancing participants’ ability to develop statistical hypotheses and use both parametric and non-parametric hypothesis testing tools like t-tests, Chi-square and other tests to validate proposed claims. Nowadays, large amount of data is available everywhere. Therefore, it is very important to analyze this data in order to extract some useful information and to develop an algorithm based on this analysis. This can be achieved through data mining and machine learning. Machine learning is an integral part of artificial intelligence, which is used to design algorithms based on the data trends and historical relationships between data. In this course equips you to implement machine learning algorithm using python, through implementation of k-nearest neighbors, naive Bayes, support vector machine, neural network, and others, you will explorer a variety of machine learning algorithm, then you can select the best model, considering key principles of how to implement those models effectively. The intent of the course is to present an introduction to Natural Language Processing, the study of computing systems that can process, understand, and analyze human language. The primary focus of the course will be on understanding various NLP tasks, such as information extraction and information retrieval, discussing algorithms for effectively solving these problems, as well as methods for evaluating their performance. Necessary skills to participate in the course - Basic programming skills, as well as reasonable knowledge of mathematics and statistics. This course will introduce the students to the world of Computer Vision, starting with a brief history of the field all the way to the recent advances of image processing. We will be using the famous open source library OpenCV to load and manipulate images. In this course we will cover the basics of neural networks. We will study how the neural networks learn (backpropagation), how they can be adapted to handle 2D image data (convolutional networks) and sequential data (recurrent neural networks). The course will provide a comprehensive introduction to time series visualization, modeling and forecasting. It will teach the R language functions for time series analysis. Main topics include data decompositions, classical forecasting models such as exponential smoothing and ARIMA, hypothesis testing for trend and seasonality detection, algorithms for period detection. The main point of discussions should be clarifying the difference between deterministic and stochastic characteristics of time series. Deep Learning adds a huge boost to the field of Computer Vision. In this course, we will introduce a special type of Neural Networks called Convolutional Neural Network, that are used to extract features from images. We will used these networks to build image classification and object detection models. An enormously large series of complex and chaotic events have shaped the genomes of eukaryotes, prokaryotes and viruses. This course will address cutting edge approaches for the computational investigation of these events, with an eye toward developments in translational systems biology. The course will present the fundamentals of genome analysis and data management focusing on data search and retrieval, similarity searches, genome assembly and annotation, metagenomics and comparative genomics. The course will cover the general ML approaches used for recommendation systems (memory based and model based, explicit and implicit user feedback, etc). It will cover different algorithms, from very basic to more advanced - Matrix Factorization, Factorization machines, Neural Networks based, Hybrid recommenders, etc. During the lecture I'm more than excited to walk participants through basics and definitions of survival analysis. We will walk step by step by the most crucial parts of the data analysis procedure in the scenario of time-dependent data and areas of censored information. There will be a place to learn diagnostic plots used in the formulation and verification of cox proportional hazards model, which is the most know procedure applied to churn analytics. If there is a time, we can consider model for multi-state nature of the survival analysis. During the two days, the students should be able to write a web scraping code in R (using packages (I) RSelenium, (II) httr and XML or (III) rvest). The collected data from web would be processed using dplyr package. The students will learn how to use ggmap package to enrich their data with geographical information and create cool maps. Besides, we will use ggplot2 and the basic graphics for the graphical exploratory data analysis. 1. www.immoscout24.de – P1 GOAL: Figure out the rent prices in German counties. Find the variables, which could explain the higher price level on the flat rent market (For example, we could investigate the rents in Berlin area). 2. www.betexplorer.com – P2 GOAL: Figure out if there is a possibility for risk-less profit by allocation of the bet between different bookies for the same game. After accomplishing this course, students should be able to write their very own R scraper to collect data and answer the research question they are interested in. Further projects with an ongoing remote supervision is possible (e.g. www.sas.am, www. parliament.am, www.rate.am, www.list.am etc). Tools - Slides/tasks. We are going to code a lot together! Large amounts of heterogeneous data are becoming available in medicine and healthcare, from electronic health records to genomic data, and data collected by various wearable devices. The scale, diversity and complexity of these datasets present serious challenge in analyses and subsequent practical applications. In this course, you will learn about successful case studies with state-of-the-art applications of big data and artificial intelligence in healthcare. You will get familiar with some of the different types of data and machine learning methods involved in data science for healthcare and will have a hands-on experience of working with such data. In this course you learn how to build up your data science platform with AWS. You will learn how to control costs and which services help you to prepare your data for later application of ML application. The first part of the course aims to familiarize the participants with Facebook's FastText algorithm. In the second part we will implement the algorithm in tensorflow. The participants are granted with the official certificates of two types based on their study results. In a case of successful completion of the study program, i.e. visiting at least 80% of the classes and completion of the project, the participants will gain a Certificate of completion. If a participant has not completed a project (not presented the results during the final presentation) but has attended at least 60% of classes, he/she is provided with a Certificate of participation. Otherwise, certificates are not granted. If necessary, the participants may get an appendix to a Сertificate of completion with a detailed list of the courses and project title listed. Also, an appendix includes ECTS credits (six credits) and an overall mark of the school. This appendix can be used to transfer credits to home university (please, note that the transfer decision is made by home university independently). 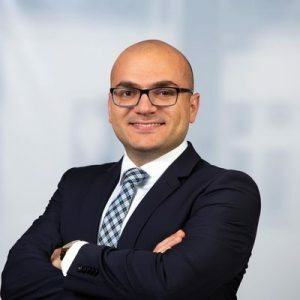 Dr. Maga Khachatryan is a Founder & CEO of MagAnalytics, a Data Science and Operations Research consulting company which helps businesses to make better decisions through the use of predictive and prescriptive analytics. 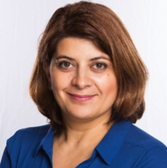 Throughout her career Dr. Khachatryan led a number of analytics projects for Fortune 500 Companies and startups. She was instrumental in developing and successfully delivering complex mathematical models that ultimately optimized business performance and generated value. Dr. Khachatryan received her PhD in Industrial Engineering from Georgia Institute of Technology and her Master degree from the American University of Armenia. ​​Dr. Khachatryan is actively involved in serving Data Science and Operations Research community. She is elected President for Women in Operations Research and Management Science (WORMS) at the Institute for Operations Research and the Management Sciences (INFORMS), initiated an award to support WORMS, she also chairs and organizes scientific sessions and practitioners colloquiums at the INFORMS Meetings, mentors young professionals and students who are interested in STEM. She is also actively engaged in Analytics Society of INFORMS. Partnering with Stanford University Dr. Khachatryan became an Ambassador of Women in Data Science in St. Louis, MO, USA (WiDS St. Louis) to inspire, educate and support women in the field and provide every woman with career and growth opportunities. Dr. Davtyan is an Assistant Professor of Data Science and Business Analytics at AUA. He has developed and is currently teaching courses on Data Scraping, Business Analytics and Business Intelligence. His research interests range from deep learning and NLP to reinforcement learning to remote sensing. Dr. Davtyan has an extensive experience of providing consultancy services to private companies ranging from IT to finance and healthcare sector as well as the public sector as a contracted expert for UN agencies. 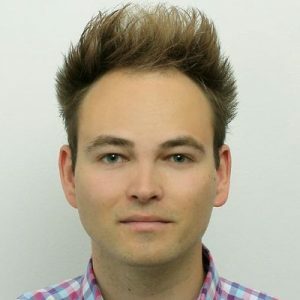 He is the founder of Metric data science consultancy and machine learning research company providing wide range of analytical and product development services to local and international partners. 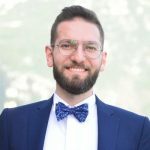 Fields of Interest - Human Mobility, Location Intelligence, Urban Systems Anastasios is a Moore-Sloan Data Science Fellow at the Center for Data Science, New York University. Anastasios completed his PhD in 2013 in the Network and Operating Systems group at the Computer Laboratory in the University of Cambridge. His main research interests include human mobility modelling, social network analysis, location-based services and disruptive technologies. 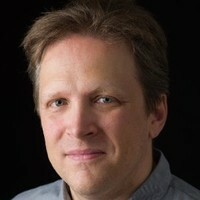 During his PhD he has published at top-tier conferences and journals in the fields of data mining, online social systems and user behaviour modelling, combining machine learning and complex systems techniques. Prior to joining New York University, Anastasios was also a Data Scientist at Foursquare Labs in New York and Telefonica Research, Madrid. Over the past years he has collaborated with a number of Startups including retail analytics provider PiinPoint, whereas in 2015 he has teamed up with researchers in Cambridge and Belgium to launch the OpenStreetCab project. 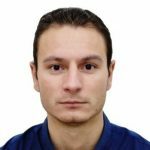 Christophe is a Software Engineer and Technical Manager with over 8 years of experience in development and various fields of Data Science and Artificial Intelligence. 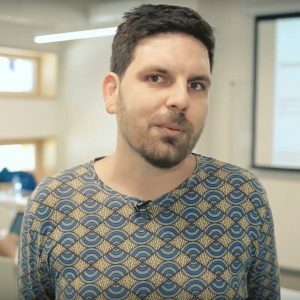 After working with mobile application development for 5 years, he transitioned to the field of Machine Learning and worked as a consultant on many projects, involving Computer Vision and Natural Language Processing problems. He is also the founder of Beirut AI, the applied Artificial Intelligence community in Lebanon, where he organizes community events and technical workshops to help people understand and apply Artificial Intelligence. He was also the organizer of Papers We Love, Lebanon chapter, a community for reading and discussing academic computer science papers. Arnak Works at VMware since 2010. He also delivers lectures at AUA and YSU. Arnak is a specialist in the area of time series analysis, machine learning, anomaly detection. He is an author of 40 US patents and more than 40 scientific papers. Tatiana A. Tatusova, Ph.D is a Senior Scientist at the National Center for Biotechnology Information (NCBI), National Institutes of Health. She is leading a group of software developers and biologists working on Genomic sequence analysis, data management and curation, and visualization tools. 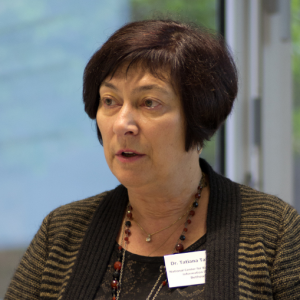 Dr. Tatusova received her bachelor and Master of Science degrees from Department of Physics at Moscow State University and her Ph.D. in Biophysics from Department of Biology at Moscow State University. 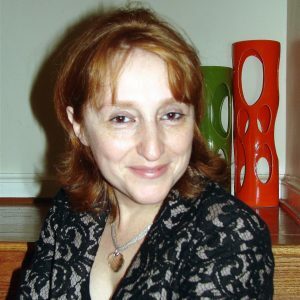 Her research interests focus on computer-assisted comparative genomics, developing software tools for analyzing and representing the bio-molecular sequence data and developing interactive WWW sites. 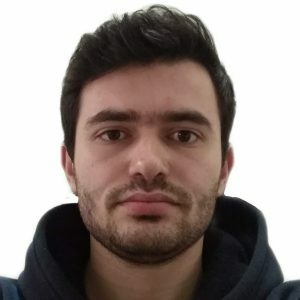 Fields of Interest - Spatial Analysis, Hedonic Regressions, Web Scraping, Data Manipulation Dr. Andranik Stepanyan is passionate about collection, cleaning, processing and mining of large amounts of data using R and Python. Currently, he is working at Deloitte Germany as a Senior Data Analytics Consultant in projects linked to Mergers & Acquisitions, Carve-outs and Reorganization of business entities. Before joining Deloitte, he was a postdoc researcher at the University of Trier, where he was involved in research projects on the disentangling of agglomeration forces and measurement of spatial concentration in Germany. Besides, he has consulted local governments and institutions in matters concerning sustainable regional development and labor market research as a freelance consultant. Harutyun Shahumyan is a Marie Curie Alumni and currently works as a Senior Data Scientist at United Health Group in Ireland. Harutyun holds an Honours Master’s Degree in Applied Mathematics and a Ph.D. in Engineering. His expertise includes machine learning, deep learning, statistics, modelling and GIS. 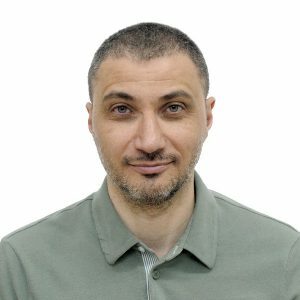 Harutyun has over 12 years academic experience working at University College Dublin, University of Maryland, University of Cambridge and National Academy of Sciences of Armenia. He has over 50 publications focused on geospatial modelling, model integration, predictive analytics and application of decision support systems. 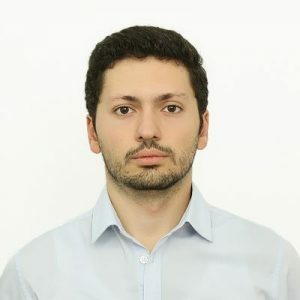 Fields of interest - Deep Learning, Recommendation Systems, Clustering, Tree-based algorithms Dr. Arsen Yeghiazaryan is an experienced scientific researcher with a demonstrated history of working in the fields of Machine Learning and Theoretical Physics. He is skilled in Math, Statistics, Machine Learning theory, Quantum Field Theory, Python, Programming. 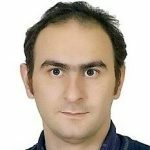 Dr. Arsen Yeghiazaryan is a strong research professional with a Doctor of Philosophy (Ph.D.) focused in Theoretical and Mathematical Physics. 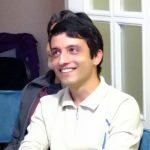 Fields of interest - Computer Vision, NLP Mr. Sipan Muradyan is an AUA alumni, working in the field of ML for 3 years. His ML career started in Picsart. He worked for 2 years on image related tasks (classification, similarity, detecting duplication). At Webb Fontaine, he is currently working on two projects, which are fraud detection and text classification. Fields of Interest - Data Mining and Statistical Analysis Dr. Vahe Movsisyan teaches Applied Statistics (since 2013) and Data Mining (2019) courses at AUA. 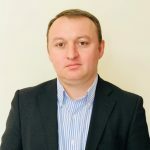 He received a diploma in Economics from Armenian State Institute of Economics in 2004 and was awarded a PhD. degree in Economics by Moscow State University of Economics, Statistics and Informatics (MESI) in 2007. Dr. Vahe Movsisyan started his professional career as a financial market analyst at the Monetary Police Department (2005-2006) of the Central Bank of Armenia, afterwards moved to Statistics Department (2007-2015). In 2015 he joined the Economic Research Department of RA. I’ve participated and presented methodological and applied research papers in numerous national and international conferences. Dr. Vahe Movsisyan is a member of International Statistical Institute (ISI) and International Association of Survey Statisticians (IASS). 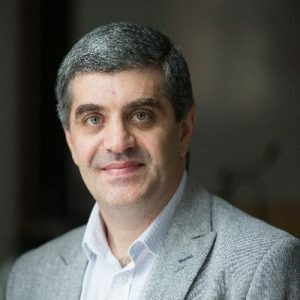 Dr. Vahe Movsisyan is a co-founder of two Datamotus LLC (Armenia) and Mychoice LLC (Singapore). Datamotus is a company that provides Data mining and statistical analysis services; Mychoice is an online market research tool that automates entire process of conjoint studies. Fields of Interest - Machine Learning , Data mining ,Deep Learning, Algorithm Design, Reinforcement Learning Artin Zomorodian,Co-Founder and CEO of Ajirak-BMS company in the field of home control and automation. Artin has been studying PhD in Artificial intelligence, Azad university College of Engineering since 2016. He received his master in Artificial Intelligence from Azad University of Science and Research branch, Tehran, Iran in 2007. Artin has been faculty member at Azad University of Tehran since 2009. He has been the instructor of the following courses so far in different colleges: Artificial Intelligence, Real-Time System Design, System Programming, Algorithm Design and Analyzes, Computer Networks. He invented automatic Irrigation system patented in 2006. Artin implemented several software and hardware projects such as Design and Implementation of Automated Environmental Control System in composting and mushroom growing, Implementing DECT remote update system on FPGA, etc. Fields of Interest -Machine learning, natural language processing, graph theory Hrant Khachatrian received his PhD in Graph Theory from Yerevan State University. Currently he is the Director of YerevaNN, Machine Learning research lab, and works as a Data Scientist at IntelinAir. Hrant’s research is mostly focused on deep learning for sequential data, including natural language and clinical time series.